de Havilland Comet 4C C/N 6424; first 4C; first flight 31 Oct 1959; delivered to Mexicana; entered service 4 Jul 1960; abandoned Paine Field 1979; to Everett Community College 1984; subsequently to Museum of Flight. 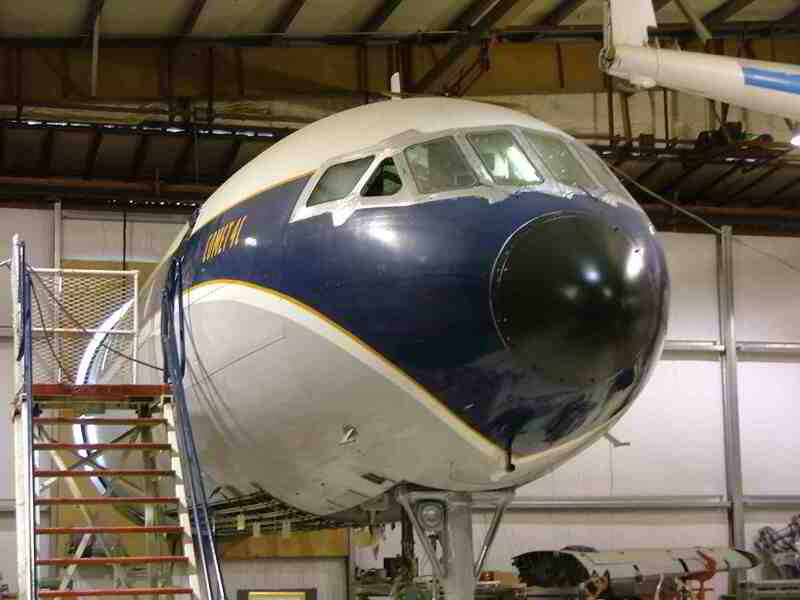 BOAC colors. This airplane is under active restoration; volunteers contact Bob Hood.